The 2019 Legislative Session is here, and United Way of Salt Lake knows that many of the issues that will be addressed this year will impact our quality of life in Utah, particularly for those living in poverty. For years, UWSL has been dedicated to supporting policies that tackle challenges such as education, basic needs, and homelessness. Our legislative priorities this year, which were outlined at our annual Legislative Preview Breakfast Tuesday, are an essential part of the work we do in partnership with our community partners to improve the lives of children and families, and to strengthen entire communities. Over the last decade, UWSL has been a champion for early childhood education and works hard to create opportunities for every child in Utah to learn, no matter their circumstance. But we still have work to do. Today, six out of ten low income children in Utah are not “kindergarten ready” in literacy standards when they start school. Research shows that high-quality preschool is a key contributor to children being ready to learn once they start kindergarten, and provides the strong foundation for kids to learn the basics of reading, writing, and math. Preschool also readies kids for the academic challenges and social situations they will face in school, and increases their likelihood of economic well being and mobility as adults, particularly for low-income children. 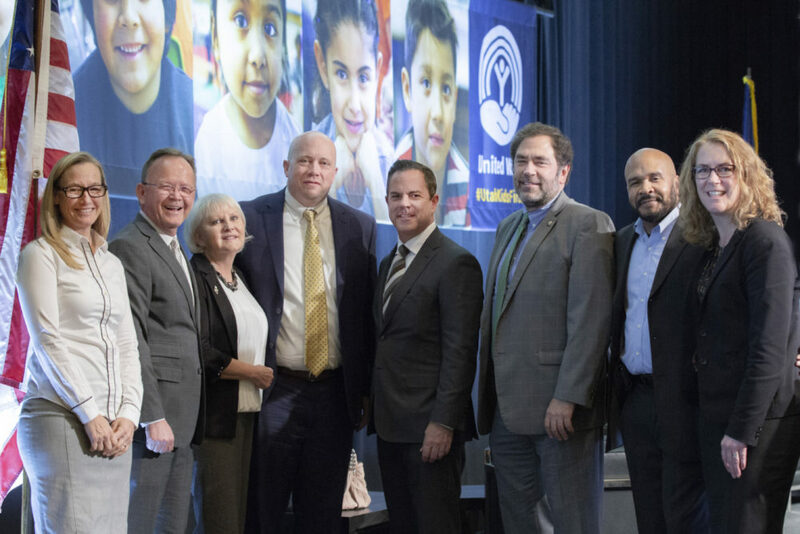 UWSL plans to support policies that will align the state’s existing preschool programs to build upon lessons learned, and strengthen and reward quality programs, building upon years of work with the legislature that’s created opportunities for more than 5,000 low-income kids today. We need to make sure that there is additional investment to support gains made by these programs. Also, we will be supporting Representative Lowry Snow’s House Bill 47, Early Childhood Coordination Amendments, which will create the Governor’s Early Childhood Commission and the Early Childhood Utah Advisory Council. HB 47 will be responsible for aligning and coordinating federal and state early childhood policies and procedures that affect the health and well-being of children zero to six. For the past six years, Utah has debated if and how to expand Medicaid under the Affordable Care Act. And this November, Utahns voted in favor of Proposition 3, which will now expand Medicaid to 150,000 Utahns through a small sales tax increase on non-food items starting in April. The core objective of Medicaid is to provide health insurance for low-wage workers so they can get the health care services they need to lead to independence. We believe Medicaid is a critical work support, and key to ensuring families are healthy physically, mentally and financially. We will work with legislators and advocate to ensure that the will of the people is upheld and implementation is not delayed past it’s intended April start date. We cannot be successful in any of these efforts without all of you. We need parents, teachers, students, school administrators, business people, church leaders, community leaders, the nonprofit community, government, and policy makers to work together, so we can ensure all Utah children get the quality education they deserve. Especially those students who are most at-risk. Help us put #UtahKidsFirst by signing up for our Action Alerts at uw.org/advocate, and continue to visit our blog, Community Voices, throughout the session for big updates and news. If you missed out on our Legislative Preview Breakfast, you can listen to our legislative panel discussion on Voices of Reason, a Deseret News and KSL News Radio collaboration hosted by Amy Donaldson and Jasen Lee. Our panel featured Utah Senate President Stuart Adams, Utah House Speaker Brad Wilson, Senate Minority Leader Karen Mayne and House Minority Leader Brian King.